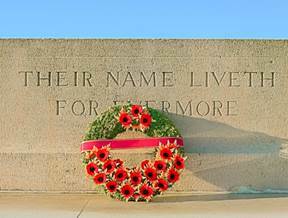 As we remember 100 years of the Gallipoli landing by the Anzacs, the war not only brought with it many horrors, but many diseases and lifelong scars for the survivors. Many soldiers became very sick due to the awful conditions that they had to bear with. One such affliction was Trench Mouth. It is a condition borne out of life in the trenches in the First World War. 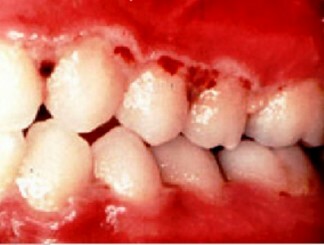 Trench mouth’s proper terminology is Acute Necrotising Ulcerative Gingivitis or ANUG as its acronym. Gum disease is interplay between the bacteria on the teeth and the body’s immune response. The body’s immune response is often a barometer of the person’s general health. In the trenches of the Great War were conditions that challenged the body. Poor diet, lack of personal hygiene, stress, insufficient shelter from the elements, close proximity to other soldiers that would be sick or have wounds, and you have conditions for all manner of organisms to thrive. ANUG is more of an opportunistic infection. The bacteria that normally live the mouth take advantage of the compromised immune system of the person and thrive. The gum becomes very inflamed as the bacteria build up on the tooth. This is due to lack of care in cleaning and maintaining the mouth. Poor diet fuels more bacteria to multiply on the teeth leading to more inflammation and bleeding. The immune system, compromised by the person’s hostile environment, is not coping with the bacterial loading on the teeth and ulcers occur on the edges of the gingiva at the neck of the teeth. Bone loss starts to occur creating even more space for bacteria to survive, but hidden from the antibacterial properties of saliva. A vicious cycle occurs. This of course causes major bad breath! 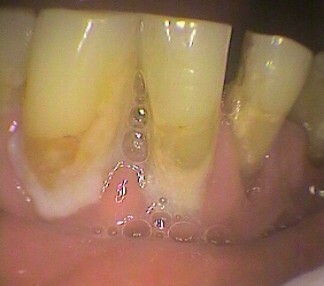 As the infection worsens, the gum edges around the ulcer begin to go grey due to the amount of dead (necrotic) tissue. Fatigue and fever then develops and the bacteria are now entering the blood stream in greater numbers due to the now poor immune system response. This is now life threatening. Often the treats for the soldiers were cigarettes and chocolates. So the smoking increased the dryness of the mouth, by reducing the immune protective saliva flow, and the chocolates fuel the bacteria. You may think that this is an historical event that does not happen today. You are wrong! Poor health due to an inadequate diet, drug abuse, smoking, stress, lack of personal hygiene, and diseases such as AIDS, have comprised the immune system, leading to ANUG to “rear its ugly head”. There are degrees of severity of the disease, and the trenches of World War I were extreme conditions, however, humans have a tendency to abuse their bodies in extreme ways today. Every so often in advanced western societies, people still die of oral diseases. Poor health compromises the immune system leading to an increase in oral and other types of cancers and tumours.